Vapers will love icare mini kit thanks to the feature of automatic on/off , cute appearance and splendid sensation of flavor. It has 1.3ml e-juice capacity and 320mah battery capacity with Max Output Wattage 15W. After iCare kit, here comes the tinier kit-- iCare mini kit from Eleaf. Vapers will love its feature of automatic on/off , cute appearance and splendid sensation of flavor. It has 1.3ml e-juice capacity and 320mah battery capacity with Max Output Wattage 15W, so that it can support 160 puffs vaping. If you want it with stronger battery capacity, you can buy icare elaef mini kit with PCC, which has extra 2300mah power bank just in case. Simple to use, it's a very good choice for beginners. 5 colors. 1. Pull out the top cap, and take the air pipe out by inserting it into the rectangular slot on the top cap and rotating it counterclockwise. 2. Slowly fill e-juice into the tank. 3. Drip 2 or 3 drops of e-juice directly into the coil before first use, and screw the atomizer head on the air pipe tightly. 4. The airflow can be adjusted by rotating the airflow control ring on the air pipe. 5. Insert the air pipe with atomizer head into the tank again and tighten it with the help of the rectangular slot on the top cap. 6. Finally put the top cap on, and the icare is ready to use. Take a puff directly. When vaping, the indicator light stays light. When the battery level is between 100% - 16%, the indicator light is green; when the level is between 15% - 6%, the light is yellow; when the battery level is no higher than 5%, the indicator light is red. • No PCC included. You can buy it separately. 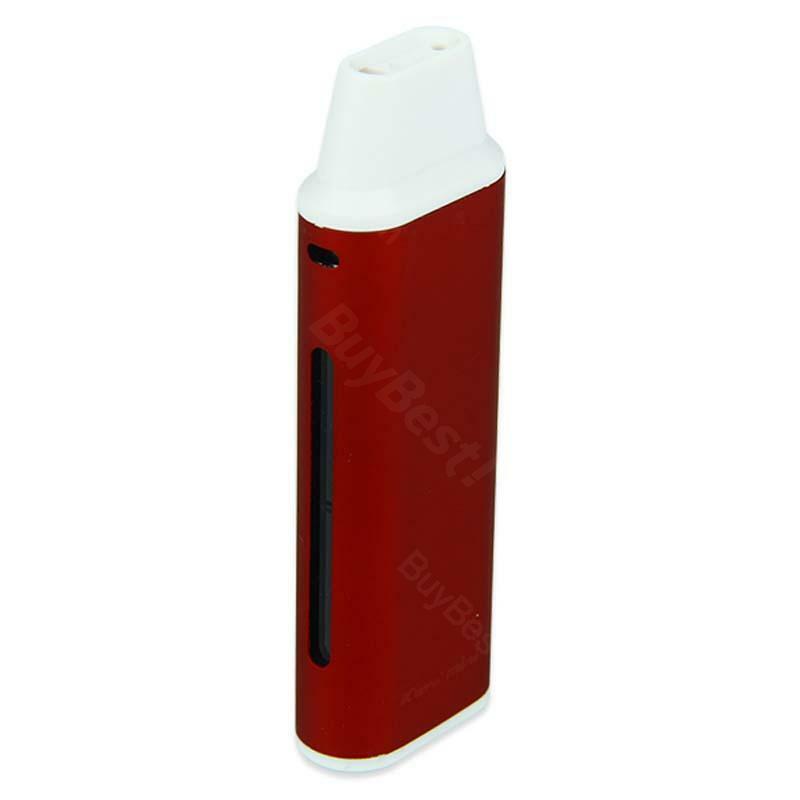 • The battery can support about 160 puffs vaping. This kit is essential if you want to get the best out of iCare Mini. Extremely light, looks good, and has a magnetic connector. I use two iCare minis, which provides me with enough liquid for out and about, and while I vape on one i charge the other. PCC is really small, has a decent capacity and can be used while charging. You can use iCare mini together with PCC. I like the eleaf icare kit very much,cute appearance. Eleaf icare is a good choice for starter. Eleaf iCare Mini Kit is easy to use and you can carry it everywhere. Eleaf iCare is a good kit for vapers. Ich habe lange gesucht nach einen guten Stopfer und bin mit Eleaf iCare Mini hier sehr zufrieden. Eleaf iCare Mini Kit is the best vaping device for starters. you just fill it up with liquid and you are ready to start vaping.